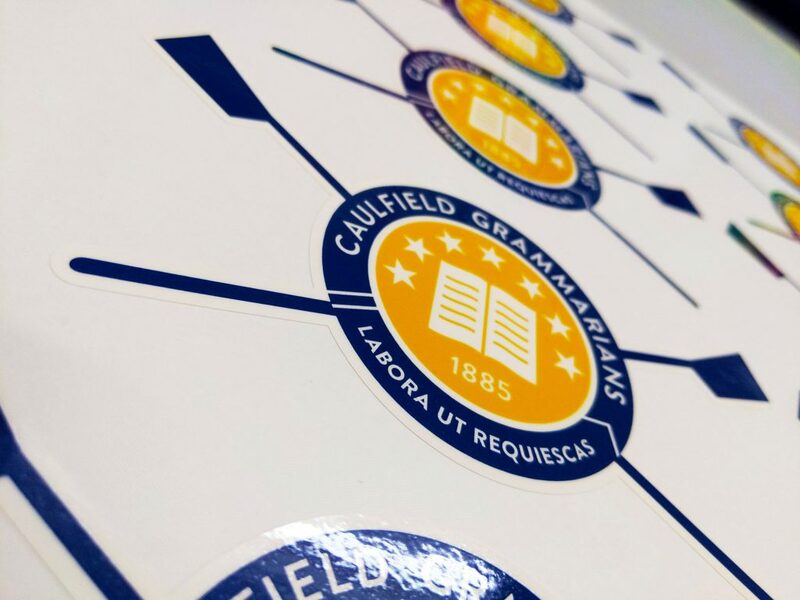 Stickers for Caulfield Grammarians Rowing Club in Melbourne, Victoria. Custom made with contour cutting around the design to create an appealing sticker. Our custom-made stickers are made with quality commercial grade self-adhesive vinyl and laminated with either gloss on matte film. These stickers will last many years throughout Australia’s varying climates.